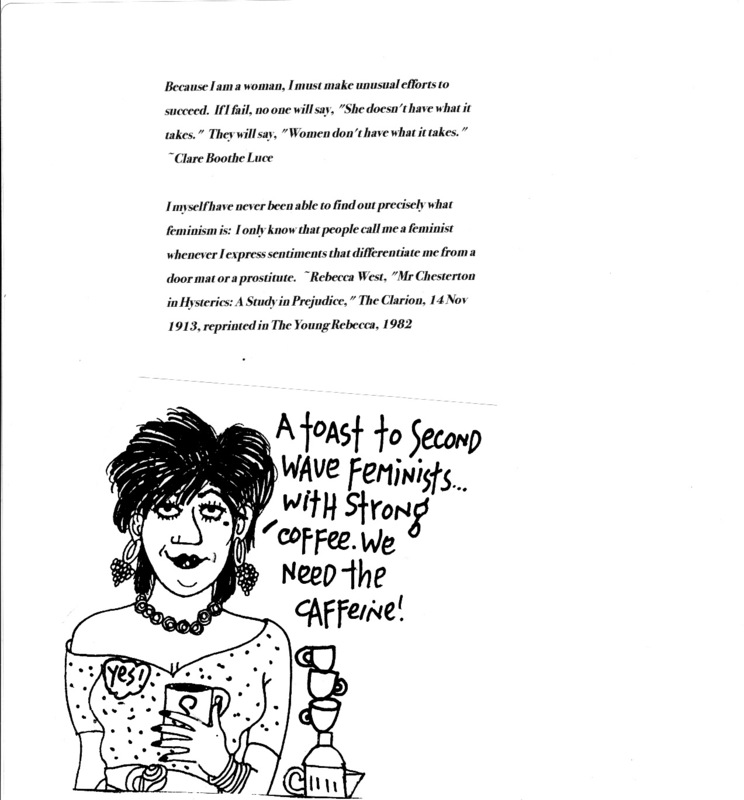 Nicole Hollander toasts Sara Paretsky, and Second Wave Feminists! “age” is only a word. Campbell toasts Madame Clicquot & Elaine Stritch. 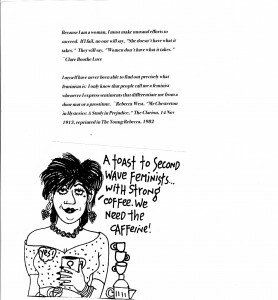 Nicole Hollander toasts Sara Paretsky. Lois Barr toasts Las Madres de Plaza de Mayo. Ellen Stone Belic toasts the 13 Indigenous Grandmothers. Cecilie O’Reilly and Maya Friedler perform from Annie Evans’ “Flappers”. Maya Friedler gives final commentary. Artists inspire songs. Songs illustrate art. The feminist muse is the focus of Songpainting Women: Music + Art in this latest offering from The Feminist Lens. Vocalist, cultural artist and Women’s Media Producer Jamie O’Reilly’s 20-year journey steering the Songpainting project on stage and in recordings, provides the springboard for the show. 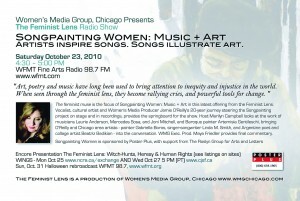 Host Marilyn Campbell looks at the work of musicians Laurie Anderson, Mercedes Sosa, and Joni Mitchell, and Baroque painter Artemisia Gentileschi, bringing O’Reilly and Chicago area artists – painter Gabriella Boros, singer-songwriter Linda M. Smith, and Argentine poet and collage artist Beatriz Badikian – into the conversation. WMG Exec. Prod. 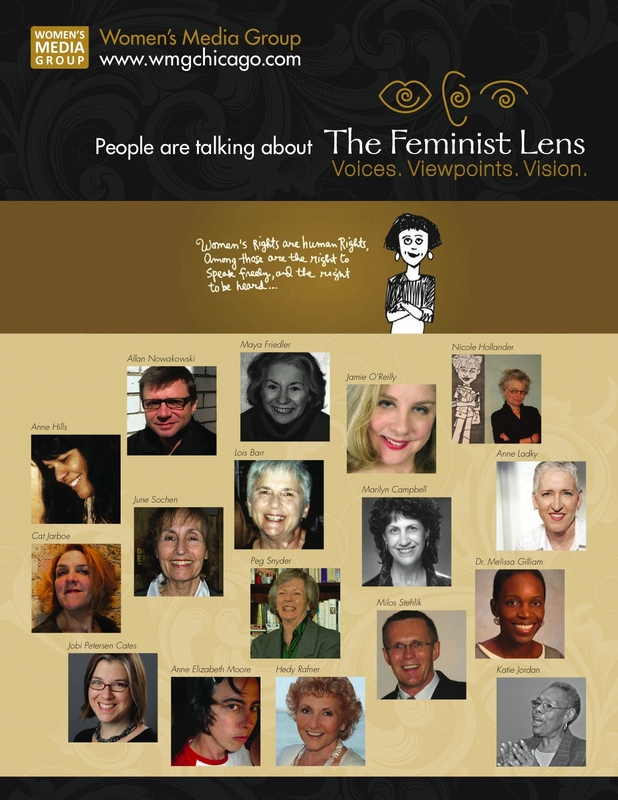 Maya Friedler provides final commentary.